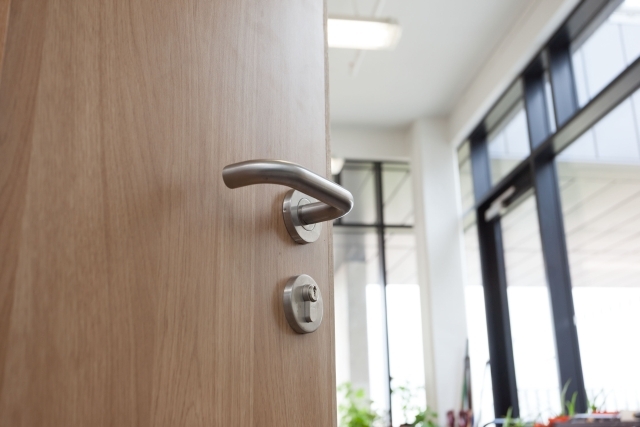 The Integra range of architectural ironmongery perfectly complements Integra doorsets and ensures full compliance with the relevant fire certification. Heavy duty and severe duty options are available in a wide variety of finishes, including stainless steel, brass, bronze and coloured. All Aspex doorsets are factory prepared for the ironmongery, including the door face and the lock case. Flush bolts are fitted with the intumescent, if required.